Merl passed away Tuesday, July 21, 2015 at his home in Otsego. 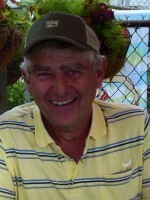 He was born July 16, 1950 in Plainwell, the son of Carl and Dorraine (Denslow) Lindsey. Merl served his country in the US Army during Vietnam. 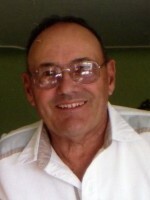 For 35 years he owned and operated Lindsey Appliance Service. In his spare time he enjoyed farming especially growing corn and soybeans. More than anything Merl loved his family and no matter how busy he was he always made time to lend a helping hand or attend events for his grandchildren. On September 19, 1970 at Otsego United Methodist Church he married Sue Ann Kelsey who survives. Also surviving are his 3 sons, Eric (Brenda) Lindsey, Kyle (Stacey) Lindsey and Cory (Ashley) Lindsey; 6 grandchildren, Zoey, Madison, Emma, Alyssa, Nolan and Owen; a special niece, Shelly (Chris) Turley and their children, Steven Kendra and Ryan; 3 brothers; 2 sisters along with several nieces and nephews. He was preceded in death by his parents, Carl and Dorraine Lindsey. Friends may visit with Merl’s family Friday, July 24, 2015 from 2-4 and 6-9 P.M. at the Winkel Funeral Home, Otsego. A Funeral Service will be held Saturday, July 25, 2015 at 11:00 A.M. at the Otsego United Methodist Church with Pastor Joe Shaler officiating. 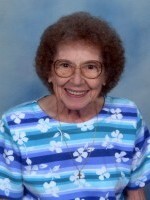 Contributions in memory of Merl may be made to the American Diabetes Association or to the charity of your choice. Robert passed away Sunday, July 12, 2015 in Kalamazoo. He was born January 16, 1981 in Kalamazoo the son of Roy and Teresa (Cherette) Pueblo. He was a 1999 Allegan High School graduate who served his country in the Army National Guard for 6 years beginning in 2001. 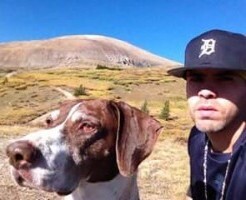 Rob was an avid Detroit Tigers fan and enjoyed snowboarding, skateboarding, riding motorcycles, listening to music, working on cars and motorcycles, hiking and spending time outdoors with his dog. On September 27, 2003 in Las Vegas he married Ashley Smith who survives. Also surviving are his parents, Roy (Amy) Pueblo of Otsego and Teresa (Gerry) Schulz of Pine Lake; his son Timmy Sego of Indiana; siblings, Maria Pueblo and Matt (Julie) Pueblo both of Otsego; nieces, Hailey, Nya and Lexi; nephew, Lucas, and his grandparents, Dorothy Pueblo, Norm (Donna) Bailey and Betty Cherette. He was preceded in death by his son, Coby M. Pueblo, grandfather, Robert Cherette, and by his aunt and uncles, Lisa (Tim) Allen, Cecil Pueblo and John Pueblo. Friends may visit with Rob’s family Thursday, July 16, 2015 from 2-4 and 6-8 P.M. at the Winkel Funeral Home, Otsego where a Funeral Service will be held Friday, July 17, 2015 at 1:00 P.M. with Elder E.D. Palmore officiating. Burial will take place at Mountain Home Cemetery at a later time. Charles passed away Tuesday, July 7, 2015 at the Dussia House in Otsego. He was born September 13, 1934 in Kalamazoo, MI to Vern and Eileen (Leighton) Piper. Following graduation, Charles served his country in the U.S. Air Force for 4 years. On June 30, 1958 in Drake, North Dakota he married Karen Davis who passed away in 2012. Charles had worked for National Water Lift/ Abex/ Parker Hannifin in Kalamazoo as an electronics technician for almost 30 years. He enjoyed fishing, ice fishing, camping, bowling, playing golf and playing the banjo and ukulele. He was a member of V.F.W. Post 3030 Men’s Auxiliary and an active lifetime member of the Loyal Order of Moose Lodge 345 where he had earned the Pilgrim Degree. Surviving are his daughters, Nancy (Elmer) Sabin of Munising, Charlene (Terry) Bonnell of Otsego and Katrina (Robert) Garver of TX; 10 grandchildren, 19 great-grandchildren and a great-great-grandaughter; siblings, Dean (Jackie) Piper and Coreen Patterson and several brother and sisters-in-law and nieces and nephews. He was preceded in death by his parents; wife, Karen and daughter, Rhonda Piper. A Pilgrim Fellowship Service will be held at 11AM on Friday, July 10, 2015 at the Otsego Moose Lodge #345. Contributions in memory of Charles may be made to Wings of Hope Hospice or to the Loyal Order of Moose. Julia went home to be with the Lord on Monday, July 6, 2015. She was born September 17, 1924 in Comstock, MI, the daughter of Thomas and Frances DuCharme. She graduated from Scotts High School and then moved to California where she met her future husband, Harvey. They married in San Diego, CA on May 8, 1944. After WWII ended they came to reside in Kalamazoo. Over the years Julia was employed by The Journal, Kalamazoo College and the U.S. Postal Service. She was preceded in death by her husband, parents and a one year old brother. Julia is survived by two daughters, Fran (Dan) Adams and Ruth (Jon) Carr; four grandchildren, Michael (Anne) Carr, Matthew (Joyce) Carr, Tiffany (Tom) Holmes and Daniel Adams; and five great-grandchildren, Audriana, Austin and Carson Holmes, Mackenzie Adams and Adam Tritz. A memorial service will be held at Texas Corners Bible Church, 7780 S. 8th St., Kalamazoo, MI on Thursday, July 16, 2015 at 11am. A private burial will take place at Riverside Cemetery in Kalamazoo. Contributions in memory of Julia may be made to Texas Corners Bible Church. Leonard passed away Sunday, July 5, 2015 at his home in Otsego. He was born January 7, 1933 in Trowbridge Township. He was the son of Curtis and Mildred (Newton) Holden. Leonard was an Otsego High School graduate who served his country in the Army during the Korean War. For 22 years he worked as a mechanic for MDOT in the Paw Paw State Highway Garage until his retirement in 1989. During that time he also enjoyed farming. For over 25 years after his retirement he grew produce to sell at the Allegan and Otsego farmers markets. In his spare time he enjoyed deer and turkey hunting, fishing, camping, working on old tractors and listening to country music. Leonard loved beagles, especially his dogs Sam, Porkie and Charlie. He was a member of the American Legion in Paw Paw and the Trowbridge United Methodist Church. On February 29, 1956 at the Bloomingdale Christian Church he married Mary Harris. Together they enjoyed camping, they were members of the VanKal Campers and Wolverine Campers. For the last 26 years loved spending winters in Florida. Surviving are his wife, Mary; children, Kim (Gloria) Holden of Otsego, Arlene (Tom) Bodtke of South Haven and Penny (David) Wait of Gobles; 11 grandchildren, Angel, Steve, William, Jessica, Michael, Jeffery, Robert, Matthew, Ryan, Alex and Ethan; great-grandchildren, Skylar, Drake, Joseph, Katie, Esther, (Andrew Leonard), Hazel and Lilliana; his sister, Doris (David) Youngs. He was preceded in death by his parents and siblings, Curtis, Beverly and Dicia. Friends may visit with Leonard’s family from 5-8 P.M., Wednesday, July 8, 2015 at the Trowbridge United Methodist Church and from 10:00 A.M. Thursday, July 9, 2015 until the time of the Funeral Service at 11:00 with Pastors John Moore and David Youngs officiating. Burial will follow at Trowbridge Township Cemetery. Military Honors by VFW Post# 3030. 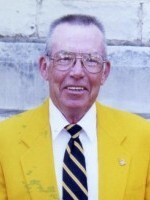 Contributions in memory of Leonard may be made to Wings of Hope Hospice or to the Trowbridge United Methodist Church.